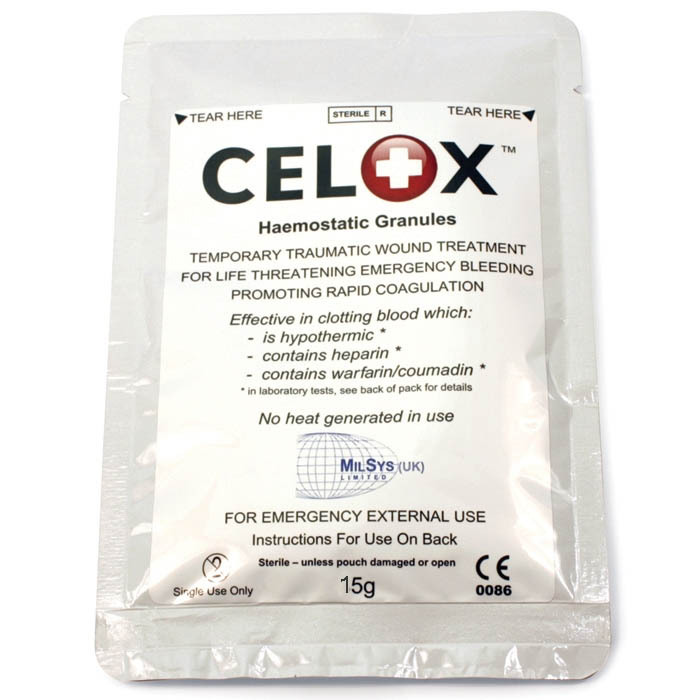 CELOX's new technology is proven to clot blood in just 30 seconds. It clots blood containing anticoagulants in the same 30 seconds. It is packed in robust, lightweight and pocket sized pouches with easy tear access. There is no need to carefully measure or cautiously apply the CELOX. The entire contents can be poured into a wound and pressure applied. It's an emergency product that you can depend on to help control abnormal bleeding.